Topics: Fully Insured, Nationwide Uk, A-team Removals, and Why Choose Us. 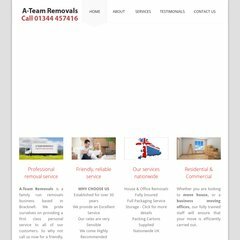 a-teamremovals.co.uk A-Team Removals - Removal Companies Bracknell - House Removals ..
a-teamremovals.co.uk A-Team Removals - Removal Companies Wokingham - House Removals ..
1 1 Internet Ag Baden-wurttemberg is the location of the Apache server. A-teamremovals.co.uk's server IP number is 82.165.112.35. There are 2 Nameservers, ns59.1and1.co.uk, and ns60.1and1.co.uk. PING www. (82.165.112.35) 56(84) bytes of data.